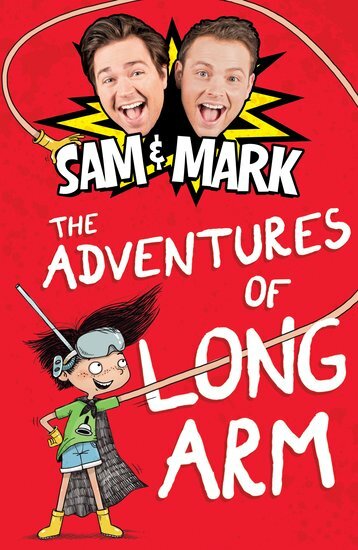 The first very silly book from funny TV idols Sam and Mark. Toilets and superheroes. Tee hee hee. What’s the worst school punishment you could ever imagine? How about cleaning the staff toilets? Yuck!!! What evil genius thought of that? When Ricky gets blamed for stealing Mr Pinkerton’s curried egg sandwiches, that’s the ordeal this poor kid has to go through. But then Ricky’s arm gets stuck in the U-bend, and comes out waaay longer than before. Is this a disaster? No! Is it the birth of a superhero? Yes! Meet the amazing Long Arm: kind of like a one-armed Mr Tickle. Will he tickle the teacher? We’re not sure. But we do know he’ll tickle your ribs. HL560L Lexiles are the global standard in reading assessment. They are unique as they are able to measure a child and a book on the same scale – ensuring the right book gets to the right child at the right time.